As your local Farmers® agent in Colorado Springs, CO, I help customers like you identify the insurance coverage that best fits your needs. This process is straightforward and personalized to help make you smarter about insurance. I have the knowledge and experience to help you better understand your coverage options--whether that's auto, home, renters, business insurance and more. Having grown up in Colorado Springs and being an active member of the community, I treat all my clients like I would my neighbors. 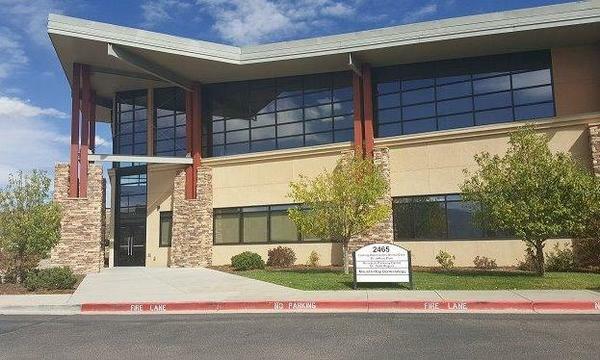 Give me a call at (719) 434-5600 and I'll be happy to answer any questions you might have. I served for 5 years in the United States Marine Corps where I achieved the rank of Sergeant. Areas I was stationed: Camp Pendleton, Ca. 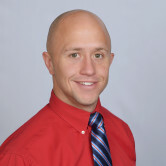 As your local Farmers agent in Colorado Springs, I can help make you smarter about insurance. Depending on your state, you may be eligible for certain discounts. See how Farmers can save you money on insurance specific to Colorado residents. 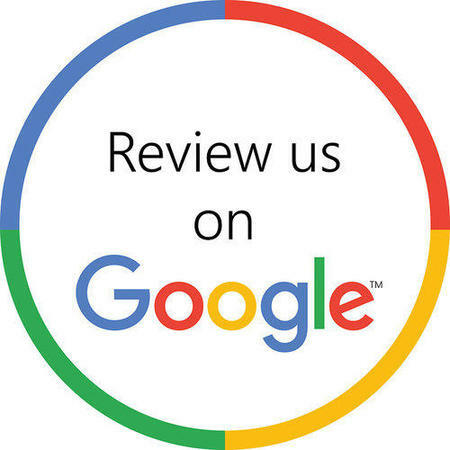 Please feel free to click the link below to write about your experience with us! 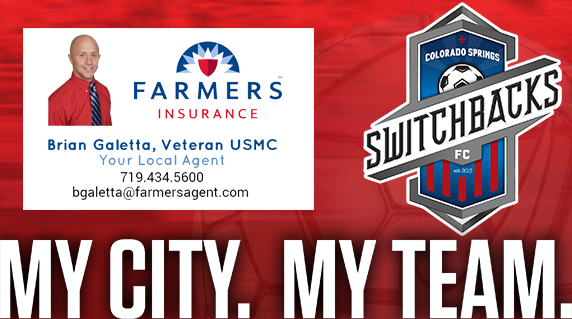 The Brian Galetta Agency is extremely proud to be an Official Partner of the Colorado Springs Switchbacks FC. If you're a fan of soccer, or just sports in general, there is no better place to be than a Switchbacks game. The Switchbacks are a professional soccer team that plays in the USL (United Soccer League) and are Locally Owned and Operated! 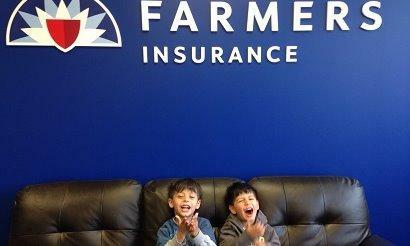 My nephews Dante and Dominic celebrating their successful installation of our new sign!